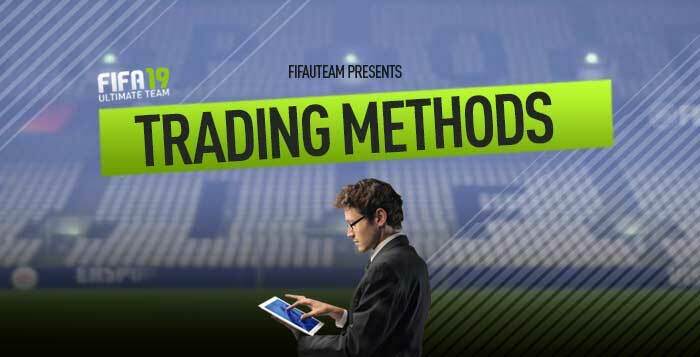 If you are not an experienced trader, keep things simple and use one of the basic trading methods for FIFA 19 we share on this page. We will not explain how to invest in OTW, SBC or Marquee Matchups. Our goal is to provide you core techniques you can use to make more coins. You buy cards for a low price and sell them for a higher price. Slowly, you are joining coins to build the team of your dreams. But sometimes you feel it is quite boring and much time-consuming. You know how to make coins in different scenarios and with different card types, but are you sure you know the basic trading methods you can use to make your life easier? From the minute 59 to price fixing, learn the six most popular trading methods that you can use for FIFA 19 Ultimate Team. In FIFA 19 Ultimate Team there are, at the same time, millions of items for sale. In general, market laws work perfectly and the demand curve crosses the supply curve in a point that sets the price of the item. However, in a small minority of cases, the seller sets a price much lower than normal. If in these auctions the “Buy Now” is triggered, then it creates a good business opportunity. Just find out these cards and make the purchase before someone anticipates. The problem is that everyone will want to buy bargains and, to get them, you will have to be very quick and clever. Your biggest opponents will be the bots. You can’t do anything against them but you should know that, even with this unfair competition, the prices in these minutes are still lower than the ones of the first search pages. By default, the duration of any item that is auctioned is one hour. This means that the last cards to be put into circulation can be found on the 59th minute of bids’ list. If you update the page several times, you can find the cards on sale and buy them. Who puts items on sale at prices far below what buyers are willing to pay, do it through ignorance of the market or simply by mistake. Did you know that there are silver cards that worth dozens of thousands of coins? Apparently, you could also get rid of a card that others would consider a bargain. And, thanks to the supersonic speed at which we put the items for sale, who never made a mistake in giving them a wrong price? Most of the players who bet on 59th Minute Method believe that this is the only way to build a good squad. They spend some time trying to make a small fortune and most of them just give up. It takes too much time and patience. If you want to take advantage of the time spent to apply the method, always follow the three golden rules: filter with intelligence, be original and use the variants. One of the recommendations that we do is to not search for all FIFA 19 Ultimate Team players on the page of 59 minutes and 50 seconds. Firstly, because the way to get to this page is too long and you will probably quit. Secondly, because the information you will need to examine is so extensive that is almost impossible for you to know the real market price of all cards. Choose a single nationality, a single league or even a single player. If you know the market that you are sampling well, you can easily identify the targets to buy and master this procedure quicker. However, you should be aware that if the filter is too restrictive, then the speed will not be important because you will never see any interesting card. The trick is to create a balanced filter for a market which you are an expert and constantly update the page closer to 59 minutes and 59 seconds. To reach this page, there are those who use special software such as auto-click. More effective options but least honest are also available but, to protect this community, we will not share it. Needless to say, that is a bad strategy to make a filter only for a regular Ronaldo card. There are many gamers looking for the highest possible profit. So, there are many people making filters for Ronaldo cards. Try something different. Try filter something you have real chance to get. The odds of doing business are higher if the chosen filter covers cards that trade a lot in the market. In a market full of buyers hungry for doing good business, it is not enough to be very quick to succeed in the 59th Minute Method. You must predict how most of the gamers think and get alternatives. Basically, dribbling competition. Try to bet, for example, in filters of less known leagues. If you have success, maintain and keep this secret. Otherwise, keep trying to innovate. Unless you consider yourself someone caressed by good luck, do not try to filter by players who are currently highlighted in the real world. These players are those who have more searches. Remember that people who play FIFA 19 Ultimate Team, love football too. Leaving aside your emotions is another requirement to increase your chances of success with the 59th Minute Method. Forget your preferences for players and clubs. By doing so, you will not only increase the sample size, as you will be away from most of the trends. One of the most important tips is the type of card. The overwhelming majority of users search for high profits. They are restricted to players. However, the number of people that discard items of another type at sale price is huge. Try searching for stadiums, contracts or staff newly launched and you will realize that it is not difficult to find them at prices much lower. Besides the existence of less competition, making it easier you can actually buy, going to the page of 59 minutes is a lot less painful. It is obvious that the profit margins are smaller, but is better to buy 10 items with 1,000 profit each, than one with 5,000 coins margin. Much of the success of the 59th Minute Method has to do with the fact that the default duration for an auction is one hour. But we can change that. We estimate that more than one-third of the players change this period to 3, 6, 12, 24 or 72 hours. This means that if you belong to the group that strictly follow the 59th Minute Method, you are losing a large part of deals. Instead of looking at the page of 59 minutes, try doing it with the pages that precede the other durations on auction. Although the number of items sold at a bargain price is lower, you will have much less competition. And it will be even lower because there are few who can navigate pages so far. It is here that you must re-apply the filter and the originality rules and beat your opponents. It is easy to understand the advantages of applying this method. With it, we can buy bargains, which otherwise would not be possible. If we are very persistent, we can even make a great team spending too little. Basically, we go to the right place to wait for bad luck or ignorance of some. The main disadvantage of this method, besides the bots, is that it requires lots of time. Firstly, we must get to the 59th minute page, which sometimes it may seem like an eternity. There arrived, we have to invest much time to examine all the cards that have just been launched on the market. We can spend hours without getting a single good buy. If you are considering trying this method, we warn you that you must have lots of time available and be extremely patient, especially in cases where you lose a good deal by mere seconds. This method also requires something essential: a deep knowledge of the market. If you do not know the normal price of a card, how could you quickly identify if the item price recently released is a good opportunity or not? If you are familiar with the reference values of the cards then you can avoid the hesitation at time of purchase often responsible for losing the deal. Not know the fair price of a card may result in bad purchases and consequent losses. ✅ The profit can be extremely high. ❌ Unfair competition with Bots. ❌ Requires a very deep knowledge of the market and of the game’s rules. ❌ Requires lots of time to get to 59th minute page and to research the cards. ❌ The pressure to act quickly can take to mistakes. In the Last Minute Method, you try to take advantage of some good opportunities at the last minute of auction. If you pay attention to the auctions that are ending and if you have a good knowledge of the FIFA 19 Ultimate Team market, you can filter and bid the most attractive cards. This method only works if there are cards with very attractive prices on the last minute of the auctions. And yes, there are. Many times the prices remain low until the end because, consciously or not, most of the people apply this method. They know that if they bid long before the end of the auction, they will eventually be overcome. That’s why they wait for the last few seconds to try to buy the cards they want. There are three main reasons for sellers that place cards with prices below the actual market value. The first one is by not knowing the market. The second is by mistake. And the third is by strategy. The truth is that it is proven that the cards with lower initial prices are those that end up being sold at higher prices. This often happens because these cards call attention to several players who start a contest, exceeding the amount that they would normally offer by an identical card. There are two important things to be successful in this method: to know how to filter and understanding the FIFA 19 market very well. Firstly you should know that trying to find opportunities amidst all the players cards is almost an impossible task. There are too many cards, so you will not be able to follow them all and also will not know the fair price for all of them. The trick is to filter the cards, focusing only on a specific niche. Choose a league, a nationality or even a club, and try to find the cards whose auction is ending and that have a good price. Applying a filter will help you to detect better opportunities. You should study the filtered cards market very well. Make it through a database or through your transfer targets list. Knowing well the prices that the cards are usually sold will allow you to be quick and without hesitation in the last seconds of the auction. There are other minor optimization tactics but with small expression. When a card has no bids, it is better to do it up to 25 seconds from the end. Bidding as late as possible will draw less attention, without turning the clock back. When a card has multiple bids, it is better to bid over and over at the last second to try to exhaust the patience of competition. This method is easy to apply and virtually inexhaustible. But it only works if the player has a deep knowledge of the market. The profits will arise but always in small doses. You will have to spend a lot of time to collect coins in small bursts. This method has another disadvantage: the danger of Bid Jacking. Even after the Price Ranges implementation, it still exists. You must be careful to make sure that the price that you will bid is actually the one that you are willing to pay. ❌Requires a very deep knowledge of the market. ❌ Danger of bid jacking. Any company dreams about being able to win against the concurrence, even if in order to do that it would be necessary to buy the other company, so that they can rule the market. This means that the consumers will not be the ones to define the prices of the products anymore. The price will now be fixed by the seller, which naturally implies very considerable profit possibilities. The Price Fixing, also known as a monopoly, is considered cheating by some players but the truth is that it is a good marketing strategy. It is one of the most advanced trading techniques in FIFA 19 Ultimate Team. It consists in acquiring a big quantity of the same card so you can fix its price on the market and get high profits. It’s not an easy method, even because it implies much availability and a big budget, but the profits can be fantastic. To apply this method, you should know the market very well and choose the niche which you will attack. Focus preferentially on a single card, if possible a card that no more are released in packs, like In Form cards. Try to buy all of them on the market except those which are at an unrealistically high price. After buying almost all the cards, store them for at least a few hours. This will make the market feel the lack of these cards and players will be willing to pay a good price for them. The next step is to monetize your investment. You can put the cards on sale at the price you want. As you hold almost every card, you can set your price. Obviously, if you are too ambitious, you may not find anyone who will pay for them. As the goal is to be the only holder of that card, you should continue to buy it even after starting its sale. In that case, buy all the cards that are on sale at a lower price than the one you set. Many Price Fixing beginners think that in order to set the price, they need to buy all the cards. This is not true. If you are applying the method to a particular card, you do not need to buy the cards that have a higher price than the one you have set. Imagine, for example, that you are buying all Ligue 1 Manager consumables. If your goal is to set the price at x coins, then all the cards are on the market at a higher price are not relevant to you because they will not give you profits and they will not disturb your plan. This method gives a lot of work, since you have to monitor all the cards that are released in the market, and it requires that you have a very large budget. Doing it alone is just for some. Many players choose to apply it in partnership with others because the chances of success are greater. They can monitor the market in shifts and they have higher liquidity for investments. – To use other accounts to temporarily store cards (we do not recommend this trick because we believe it is lack of fair play and because you will need to pay 5% taxes). Most of the players choose the wrong cards to make Price Fixing. They do that because they do not realize that the FUT 19 market works like a real market. The fewer cards there in the auctions, the easier it will be to set a high price. To choose gold cards or very popular cards is a bad strategy. They are continually being released in packs and you will have great difficulty in monitoring them and buy them all. If you have enough budget, the ideal target for Price Fixing are the In Form cards. They are released in packages for a very limited time, which means that it is extremely easy for you to control them and set the price you want. When you start selling the cards that you bought, you should not place many cards in the auction at once. Remember that being rare is what makes them valuable. Also avoid putting several cards in row for sale on the transfer market. It will become clear that you are Price Fixing and buyers will tend to give up on the cards. Price Fixing is widely used since it allows to achieve profits that few other trading methods offer. Only that justifies all the work it entails. In addition to a good knowledge of the market and a generous budget to buy all the cards that exist and that are appearing, this method requires great rigour and availability. If you get distracted for a few hours, when you come back you can find the market full of cheap cards bringing down the value of your entire stock. ✅ If well applied, it is one of the best paid methods. ❌ Requires deep knowledge of the market. ❌ Requires a large budget. When you sell a player, you should reflect on the price the features that your card has. The better they are, the more expensive they will be. The enhancement method consists of buying normal cards and value them mostly by applying training and development cards. You can also try to find players with chemistry styles, contracts, position cards or any other consumable that makes them more valuable for the regular price. Do it and sell them for the price that they should be being sold. ✔️ Modification of the manager’s league by applying manager’s league cards (in this case, only for managers). To have profit, the cost of the improvements should be at least 5% below the price rise that you set to that card. One of the most important ideas when optimizing this method has to do with the choice of cards that you will improve. The enhancement method works much better when done with cards whose initial price is high. It is easy to imagine why. Who buys a player for 300k coins will not be too worried about spending extra 1k coins to get a contract bonus. Who buys a player for 1k coins will not double the cost just to get this improvement. Improve always expensive players if you want to really make money with this method. But optimization does not end here. The fitness improvement of the players is the one that has the less economic expression in FIFA 19 Ultimate Team. Although it is easy to make, and in some cases even free, we do not recommend that you spend too much time with it. If you get cheap training cards you can try to improve the attributes of the players before putting them on sale. However, since this effect lasts only a match, most of the people are not willing to pay more for this type of player that has an improved card. The major target of this kind of card is the misinformed players who think that the effect lasts forever. In FUT 19, there is one extra individual chemistry point to the player that has the same nationality of the manager or play in the same league. To build a hybrid squad, for example, you will need a manager with the right league and right nationality. Try to buy the cards of the most popular leagues, as Premier League or La Liga, and apply them to the managers with the most popular nationalities. The managers are responsible for the optimization that you can make with regards to contracts. If you have enough managers in your club for a contract boost of 50%, it means that your cost to improve the players cards may be lower than the cost that buyers have. If it happens, you can easily sell players for a higher price since both sides are profiting. Try to buy the chemistry styles cards that have the higher pace improvement (3 points), such as shadow or hunter, at low price, apply them to players and sell them to anyone looking to optimize their chemistry. You can also try to find in the transfer market non-basic styles players at the price of basic style players. This is probably the improvement that is most profitable with this method. Firstly, because there are many people who do not know how to change the preferred position of a player. The ones that know how to do it, not always have the patience to find the right cards at an auction with a filter system very inefficient. To optimize this method you should choose whether to be original or not. In the first case, the differentiation can bring you a lot of coins. Imagine how many Pogba’s ST there are. Few or none. If you have the only one in the transfer list, it means that you have no competition and so you can set the price you want. If you do not want to be so original, you can focus on the most frequently used positions. Try to find good players that are released in packs in undesirable positions. Applying a CF-ST card to Thomas Müller can be an added value for most of FIFA 19 Ultimate Team players. The enhancement method can give you some significant profit but requires, in addition to some work, that you master it well. To achieve good profits, you should have a comfortable budget and you should study the market very well to know what they are willing to offer for each of the improvements. ✅ Reasonable profit margins if well implemented. Markets are not perfect. Not even in reality, neither in FIFA 19 Ultimate Team. Cards stuck in transfer targets list, players who disappeared, FIFA Points that never entered into our account. All those who play FUT are aware of these and other problems with this game mode. The only way that EA has to try to solve them is to perform maintenance on their systems. As if that were not bad enough, EA also performs periodical routine actions. Nobody likes to be deprived temporarily of the game for which have paid but we have to know to take advantage of bad times. That’s what this method does. When EA performs a maintenance operation that prevents players from accessing FIFA 19 Ultimate Team, the market does not stop. This is the window of opportunity that must be seized. If an auction expires during an outage or maintenance period, the auction will be completed, and accept the last bid made prior to the outage or maintenance. EA recommends that for any high value items, the players should utilize the minimum bid option so that they can set the minimum amount they would be willing to accept for the item. This will ensure they get a fair price for their item, should bidding be halted due to downtime with FUT 19. However, many people do not follow this recommendation. Most of them do not know when the maintenances are. This is because many of these interruptions are not announced. Many others players do not know the rules of the auction during these stops, allowing their cards to be sold at bargain prices. The maintenance method consists in to know when the interruption will take place and to bid on as many cheap cards as possible. If no one else bids until the beginning of the maintenance, the cards will be yours. The optimization of this method is extremely important. This allows you to pass from reasonable profit to millionaire profit. Almost all the optimization is made at the time of bidding. You should focus on the items that you will bid for and the timing of bidding. These are the two main aspects which we will cover in a bit more detail. To filter the items that you’ll bid on is critical to being successful in this method. Why bid for contracts in which you can earn 100 or 200 coins when you have a whole market full of cards, worth thousands of coins, waiting for you? The opposite way is not always the best solution. That is, Messi and Ronaldo are rarely offered for sale with a low starting price, so it will be too hard to find one which you can make a bid. Among the players who worth tens of thousands of coins, try to find those who their prices are at least 50% below and bid on them. By filtering cards which exist in large quantities in the market, you will make your work easier. It will be easier to identify the normal value of these cards and to find more bargains. This method is poorly known but probably there are those who use it. To beat the competition, the idea is to bid on cards that players usually only bid at the end of the auction. Your offers will have more chances to not be exceeded. Differentiate yourself in the filters that you use and you may have a whole market just for you. If you had difficulty understanding our tips, an example will help. Think about the positioning cards market. The cards CAM-CM, for example, can be sold between 1k and 2k, depending on the game’s age. They are a great target for this method. First for allowing a reasonable profit, since many are put up for sale for 150 coins. Then for existing in large quantities so that it is possible to bid on dozens of these cards in just a couple of minutes. Finally, they are also a good niche because most of the players only bid on these cards in the last seconds of an auction, keeping its price low until there. If the auction is over before the ending of the outage, you may be able to buy dozens of cards with a profit of a few thousand coins to each one. Easy, no? Do not wait until the last minute to bid. Try to do it 30 minutes before the start of the interruption. You will need time to search for the cards that interest you. As the allocated maintenance time gets closer, there is less time for other players to overcome your bids and your chances of success increase exponentially. Book this period for the targets which you consider most important. If you want to take full advantage, you can make some preparatory work before starting to bid, noting potential targets and their normal market prices in FIFA 19 Ultimate Team. This is probably the most valuable advice we can give you. Two or three minutes before the start of the outage, when you have already bid on dozens of items, exit from the transfer list and focus only on your transfer targets list. That way, you can ensure a higher success rate because you quickly identify the bids that were overcome. Always bid until the start of the interruption. Typically, the maintenances last a few hours. The vast majority of bidding occurs in the last hour that the cards are up for auction. It’s a smart move to bid for cards with more than an hour before the auction expires and less than the scheduled duration of the maintenance. The probability to be exceeded will be very low. We recommend that, if you find good deals, you should bid on cards that expire just a few minutes after the end of maintenance. In these first moments, the number of people in the market is very low. This is undoubtedly one of the most profitable trading methods in FIFA 19 Ultimate Team. Profit margins are huge. Furthermore, the fact that most of the scheduled maintenance will be done in times of low traffic, means that the competition is lower. The less positive aspect of this method has to do with the fact that it can be applied only at certain times. Still, usually once a month there is a service interruption that can be exploited for great deals. The main problem is to be informed of when the maintenances will occur. Take a look here at the complete list of maintenances or browse to ‘live’ – ‘maintenances’ in the top black bar of our website. ✅ Profit margins are huge. ✅ Great ratio time spent vs profit. ❌ Being dependent on the performance of maintenances. ❌ Difficult to know when there will be maintenances. This year, all FUT players have become very smart. I am not being able to make any profit on a regular 84 rated card. All players buy only at the lowest bin and not a single cards getting sold (may be 1/2 card every 4/5 hours) at the next price to lowest bin. Now trying OTW players. Lets see what happens!